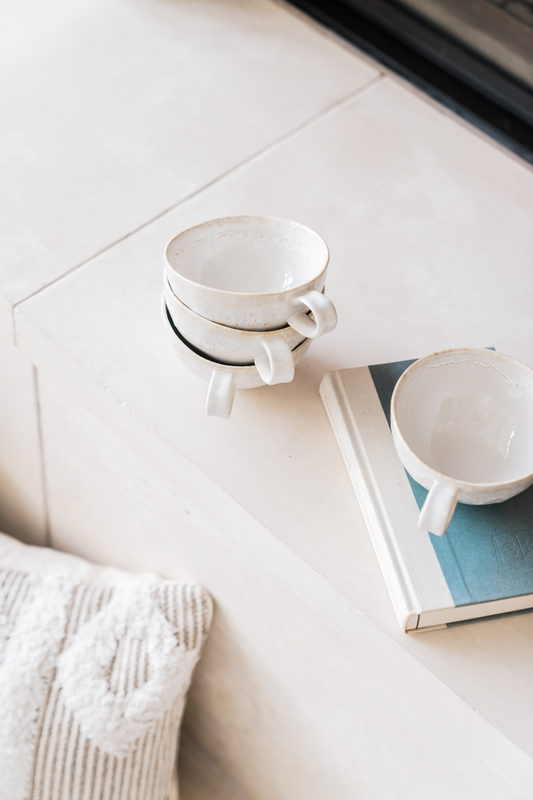 With the New Year in full swing and the Christmas decorations all down in our home, my mind is always wandering with new ideas on how to freshen up our space. As most of you know, I have a HUGE passion for interior design and love all things home décor. A fresh color palette and versatile pieces are always on my mind at the beginning of the year. 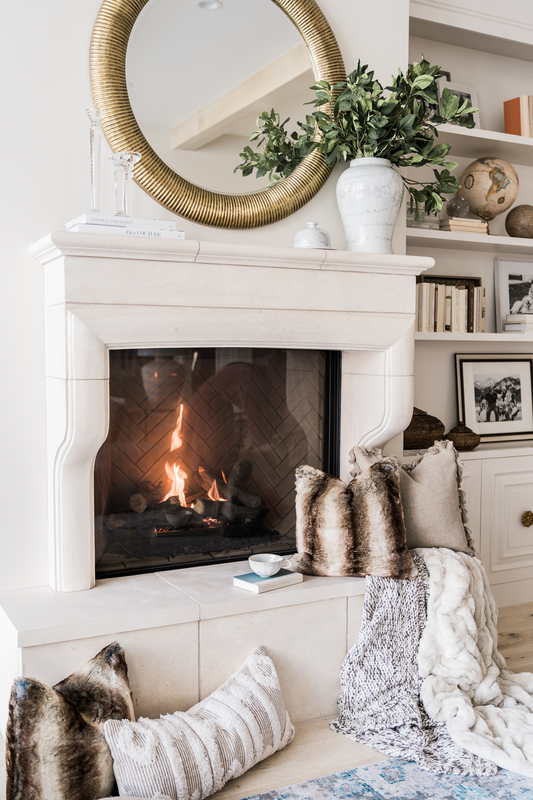 I like to make sure I can mix and match any new home pieces I get with all of the future décor that might come along for the changing seasons that are ahead of us. 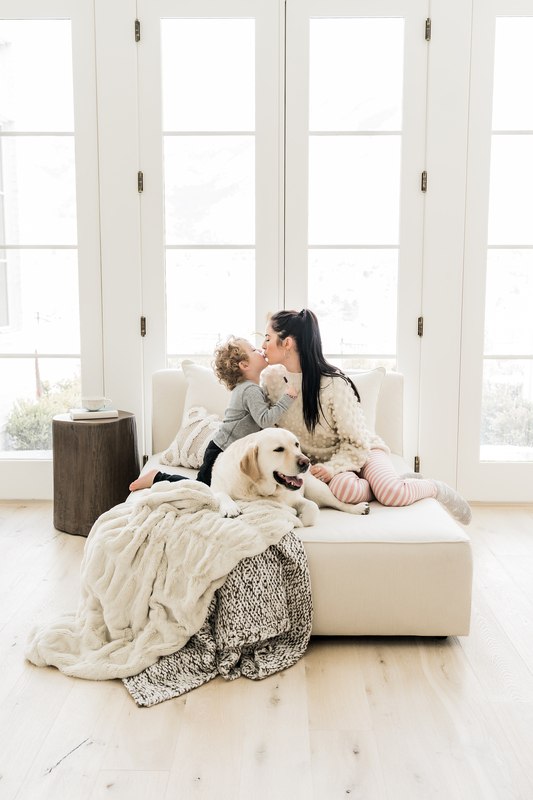 I discovered Arhaus back in October and was excited because their pieces are timeless, neutral, feminine and embody what my interiors style looks like. 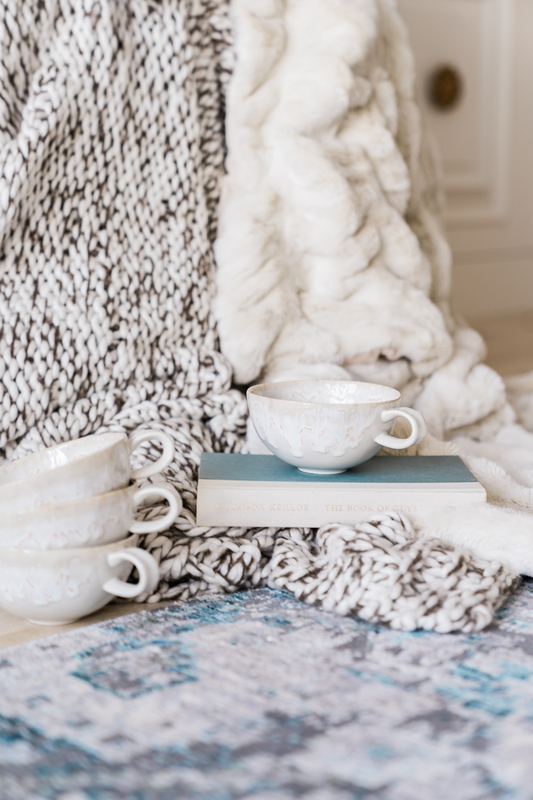 The pieces I ordered for my home are still the perfect feel to make you warm and cozy for the rest of the cold winter months but can easily transition to the freshness of spring. I love that Arhaus offers so many unique pieces that are very high quality and can bring in an artistic and cozy feel to any space. The Andaz Outdoor Double Chaise I purchased is such a pretty piece. It is so easy to incorporate inside and then easily transition to an outdoor piece once it starts to warm up in the spring and summer months. I loved the idea of this transitional piece because Dash and I love to have something to lounge on outside while my kids jump on the trampoline. Their accent throws and pillows just give it all a cozy and complete feel. I am SO excited about all of the pieces I have, that I wanted to give you ladies the opportunity to win a $200 GIFT CARD so you can shop them as well! 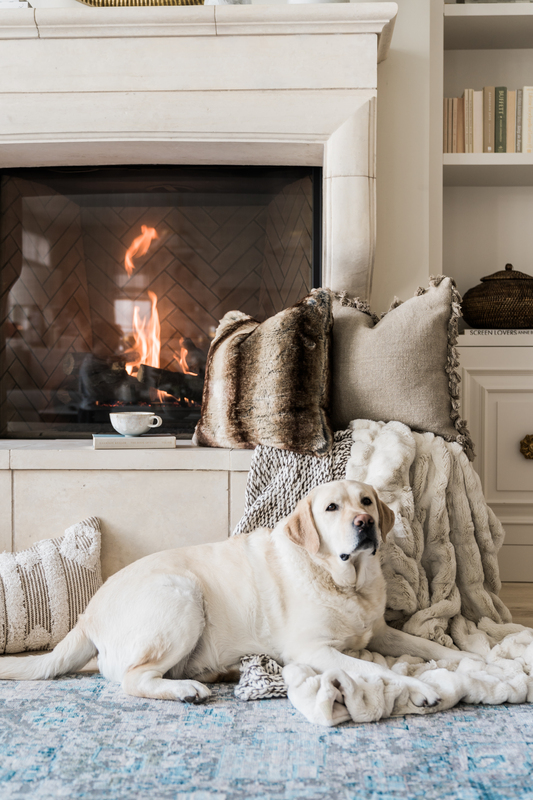 All you have to do to enter is click here to visit the Arhaus website and then COMMENT on this blog post and let us know what you would purchase if you were to win! All of the accent pieces and furniture I chose for my own home are linked below, along with some other amazing pieces that I feel could work in many different home décor settings! Click here to shop the pieces in the post plus some other fun options! Happy home décor shopping! They have a couple of pillows that I love and could really use on my couch. Definitely some outdoor throw pillows. I need to up my patio game! I think i would put the gift card towards the chambray flax duvet cover! I am looking to freshen up our bedding, and this would be perfect. I would love to purchase something for my bedroom. We moved into our new home a year Ago and it feels like it’s missing Something! I love your style! I’d choose the grey wolf faux fur bed blanket! I looove those belo mugs! I’d put the $200 towards a new bed! I love the Evelyn bed. Love your pIcks for your new home!! O their dinnerware pieces are beautiful! Your home is gorgeous and I love all of your new home decor pieces. I would pick the lux pleated throw! Looks so cozy and is a great price! NEED that mirror you featured in the post! That floor length mirror is gorgeous!! Absolutely LOVE ArhAus!!! I would buy a console table or that amazing double chaise you linked- would be perfect for our backyard! that mirror is GORGEOUS too! I love Arhaus! I discovered them about 15 years ago and have scOoped up several pieces. Our hammered copper top coffee table is still one of my faves. I currently have my eye on the athens executive desk and the amelie wooden arched floor mirror in gold hue for our office remodel! I would love to purchase the chevron throw..the whole website is beautiful! I love home decor. I looked through the website and i could just picuture many of these pieces in my daughters bedroom. they have such fun ans beautiful pieces. PerSonally i would love to get the hemisphere geode chandelier in antiqued brass for my daughters rooM. I also love the amelie wonden arched floor mirroR. ? fun post! Such a cute, cozy space! That mirror is so beautiful? All their throws are gorgeous! Would be a hard decision between one of those and their full length mirrors! Thankyou for introducing us to their sight! There are so many BEAUTIFUL items for every space of the home … love ♥️it! Pendent lights, a chase or side cabinet! I absolutely love this post! Your home decor (and style) is my favorite! I would totally purchase this “grey stripe moroccan pom pom blankeT” or thiS “trio hanging shelves” – WHICH I MIGHT JUST GET! I AM DEFINITELY PURCHASING THE ‘CHUNKY-KNIT POM POM THROW”. tHANKS GIRL! I would definitely buy one of the grEy tufted beds for my bedroom! I love everything though ? I would definitely grab a beautiful faux fur throw! My husband and i are in desperate need of one fOr the end of our bed!! LovE the pEices you picked! Eyeing that malibu outDoor diniNg tablE for our backyard! If i won the gIveaway i would put it towards eIther a sofa table or a chandlier! I love this store! We are finishing our patio and i would love to buy some ouTdoor furniture! Would love the kipton storage ottoman! I would buy some new decor for our new home we are moving into!! I would put it towards the kipton couch wHich i discovered recently and am dying to have! That or the gorgeous mirror! Love these! Looking to refresh my home for the new year! I love arhaus! Our sectional is from there. It was a little out of our price range but we love it and now say that it was definitely worth it! I would love to get a chair to complement the sectional because our living room is fAirly large and needs something else! The mirror is my favoritE piece. I love all of your home decor! We have an offer out for our first home. This gift Card would be a Blessing. THE MIRROR IS MY FAVORITE PIECE. I LOVE ALL OF YOUR HOME DECOR! WE HAVE AN OFFER OUT FOR OUR FIRST HOME. THIS GIFT CARD WOULD BE A BLESSING. ?? THE MIRROR IS MY favorite. WE HAVE AN OFFER OUT FOR OUR FIRST HOME. THIS GIFT CARD WOULD BE A BLESSING. THE MIRROR IS MY FAVORITE PIECE. WE HAVE AN OFFER OUT FOR OUR FIRST HOME. THIS GIFT CARD WOULD BE A BLESSING. I would buy thE beautiful gold arched floor mirror ??? Beautiful! I have my eye on a dining room table from arhaus! Thanks For sharing! I would love to refresh my bedroom with the matelasse linen coverlet and shams! Thank you for the giveaway!! I need a new rug and that handwoven jute rug is perfect!! I love your chaise!! But if i won, i would get Their leather morocan pouf, ive been dying to get one! I Stumbled across Arhaus in NJ anD walked around In Awe of all of the beautiful pieces and how lOvely everything was displayed. We just moved to a new hoMe with Pretty outdoor space so would love the Log Fire table to relax By and enjoy on the patio. That chaise! Anaxung! I need thst fur my master Bedroom redo! Actually looking at Arhaus for our New bedroom furniture! i would purchase the faux fur pleated throw! all so beautiful! I love how your house is coming together! I would use the gift card towards a new bed for me and my hubby! I just got a nee apartment and need a couch and accent Pillows!! OOOo! Beautiful! I loVe the rita swivel chair in taylor lakeland! I have a small but chic aparTment in chicago that is in need of a gorgeous chair for more seating. Looovvveee it! Oh my godness HOW COZY? Omg absolutely love everything from arhAus! MY parents whole hoUse, top to bottom is only furnished from pieces from arhaus. My husband and i are currently in the process of buying our first house and i can promise arhaus Will be the first place We go when we start furniting!! Thanks for SHARING this post. I would love to win this giFt card to Put toward purchasing a sofa for our new home!! TheIr Sofas and chaise lounges are so beautiful! I would Looooove to get that windowpane mirror! Or the amelie floor mirror! So so gorgeous! And good timing that they are having a major sale right now! ?? Fingers crossed!!! I would purchase a pretty art print. I would love to shop their decor pieces! The first thing that caught my eye was the evA round and eva tall vases, but the mirrors, basKets, throws and pillows are beautiful! I am ABSOLUTELY OBSESSED with your interior design stYle! My husband and i Are house hunting for our first home. This giveaway wOuld be lovely! Thank you! Ohhh so need a home refresher!! I prob wou love to redo our guest room!! I would gwt some cream colorred pillows! All your choices are so beautifu. My choice from arhaus would Be something special for our living room. THAT VANGOGH NAVY VELVET SOFA THOUGH! ? I would love to get some frames. Or one of their office chairs! We have 2 statement pieces and our couch fRom arhAus-lOve their look! I love your style & blog. I think I would choose new BEDDING for myself, unless my daughter found something she would like. What an amazing store. I’d lOve to get the Amelie mirror! we just had a location open up close to us in Brookfield. I loooove Arhaus. I’m obsessed with that STORE.hopefully I will win. I would love the faux fur throw and the boho pillow, it would really compliment well and lighten up our leather couch. I love the arhAus mirror!! I love THe chaise. When I popped over to their website immediately went to the beds. They have so many great ones. We’re building a New home so i’d Probably put the $200 toward some new furniture. I love the kensington round dining table! Would love to buy the Anders round mirRor! Love arhaus!!! I love them! THat mirror is gorgeous. ThEy also have these Caramel colored leather chairS that i am obsessed with! LOve those blue coral prints on clearance! Would love to buy an ottoman or a Chaise for my living room! I am so in love with the bodhi bedroom collection from arhua. My bedding and my living room furnitute are from there and i love their things! My living room is in need of a major makeoVer! I would definitly put that money to good use!! I Love the floret prints, for over my bed! I would purchase a nesting coffee table! Theres an arhaus Near me and i love to window shop there! All the pieces look so great- But that mirror! Looking for one for our formal living room and that is perfect! Diggibg the mirror throw pillows and the chase but with two Toddlers and a new puppy i dont have the guts to pick out such a light piece of furniture. Selection is amazing though. If i won i would put it to that bueatiful mirror. I have been looking for a floor lenght mirror that is my style forever. I love the faux fur Pillows! I need new pilLOws for my living room so bad!! Would love to put the money towards a new sofa! Everything looks so beautiful and timeless! I need a nee sectional for my living room and an overstuffed comfy chaor for reading! Oh my goodness the athens modular media console is stunning ?. Thanks for sharing this with me rachel! I love arhaus so much! Their new store in cHaRlotte is impossible not to walk through every time i go to the mall. I would love a new living room chair and light fiXTure from arhaus! OMG i would love to get one of the wall units…absOlutely gorgeous ? I love arHaus! I would purchase the pillows, throw, mirror, anything from there is gorgeous! I Visited an arhaus store a few weeks ago and fell in love with it. I would buy a grey couch for my future apartment! Ahh! I would seriously die if i won this. i have been eyeing the langley bed frame for FORever, but since I’m a stay-at-home mama, I’ve had to wait till I could afford it. i love how simple it is. you can really dress it up with throw pillows and a nice comforter to make it elagant. I want the mirror ? ArHaus haS beautiful pieces. I WoUlD love to get a canvas print for my dining room! Would love to get the Faux Fur Luxe Pleated Throw!! Im dying for that Gold mirror! We arw building a house right now so im limited on some of the “extras” so i would love to be able to use it towards to the mirror for my master. Oh my gosh, I would absolutely love to win this giveaway! I have been eyeing their langley bed frame for forever and since I’m a stay-at-home mama… I couldn’t afford it just yet but the $200 would help CRAZY! I love how simple it is; you can really dress it up with a couple throw pillows or huge comforter too. love this store and love your sweet house! A new coffee table or sofa for my home! Omg, everything is magnificent! I seaRched their website and would totally put the giftcard toward La Cage Gold pendant light! Love it! Kensington dining table is what i wAnt from arhaus!! I love this store!! Omg, everything is magnificEnt! After looking thRough their website, i would Put the gift card towards their La Cage Gold pendant light! So pretty! Ugh I love everything on ARHaus. But i need a new light for my foyer. I would buy the eliana lantern pendant. Its so gorgeous! ??? I would use the $200 to go towards a new couch! My husband and i just bouGht our very first home and the couch we have now is from before me in his bachelor days! We are due for an upgraDe!!! I have had my eye on the tahoe foe a while now! I loooove all of these pieces! I would die for the chaise or all if their throw pillows!!! amelie wooden arched floor mirror in gold hue!!! I would get the faux fur luxe pleated throw! Love the faux fur throws!! ArHaus is one of my favorites! I’D purchase a buffet table to completr the dining room in our new house. Faux fur luxe oversIzed pleated throW ? wish i could wrap up in it right now! Give me all the accent Pillows! But Would love the chaise or a decoRative mirror for our baby nurserY! Oh my goodness, Arhaus is my favorite at christmas time! But lets talk about That chaise!! It is absolutely beautiful im in love !! Ooooo it would be oh so hard to choose! I am obsessed with arhaus! But i have been swooning over the amelie wooden arched floor mirror in gold hue forever so i think i would have to go with that piece! I would buy the andaz outdoor double chaise because you made me fall in love with it! ?? I would get it in The cabana black! ???????????????? Your HOme is beautiful! I Would pick the lovell table lamp for my nightstand. The serene Dining Room Table! I’d Put the gift card tOwards tWo Percy nightstads for my master bedroom! So perect! I love their carved panels, definately grabbing some accessories and decor. They have some of the most Unique things! ??? I would get that console taBle for The new house we are remodeling! I’d get some new pieces for our bedroom to make it more of a relaxing room that we can enjoy! Thanks for sharing this great shop! I never heard of it. I just finished a remodel and need so much stuff. I would definitely buy some decor pieces that you featured. I love that mirror! ? I love the solena Gold CHANDELIER. I’ve recently DISCOVERED this site too!! I’m in lOvE!! ? We’re closingbin our first home next month! If i win this giveaway i would use it towards buying one of the round hand knotted rugs. Your posts are the first thing I want to see when I open my Instagram.they are always a treat. I would love to buy either the cabinet or the chaise.absolutely beautiful pieces! Hi rach! I just moved into a new place and i have been searching for the perfect throw. I WOULD LOVE to buy the faux fur luxe oversized pleated throw if i were to win! We are moving to a new cIty This spring. I would purchase for our new space tWo of the Large White Birds to Coordinate with Two sCulpture Pieces i just got and of course I would get 12 of the diamond goblets for dinner parties! How do you choose, everything is amazing!!! I would probably havE to go with some new bedding! The mandara cabinet – obsessed! Hi! I would choose a hutch for the dining room. So beautiful! Ahhh! Currently redoing my living room and love love love this website! I would buy some throw Pillows fOr my new coUch and an ottoman! ? Love arhaus! I would use the gift card tO buy a side chair! Hi rachel, thank you for blOgging about your home. Its so insPiring to me. I Have lived at my inlaws for almost a year as we build our home also. If i won this gift card i would buy a piece that tells a story about our family. I want the interior design of my home to sag the story of my family. Love your style so much and cant wait to see more Of your home! I would love the Zebra print for above my soon to be sons diaper changing table in his nursery! I LOVE Arhaus!! I would get The Cream pillow yOu got Or the basket!! Swoon! I love arhaus! I’ve been eyeing the dominique end table since the summer and would love to finally purchase it! I definitely need to peruse arhaus’ site, they Have beautiful decor! I too love to switch out my home decor with the seasons. 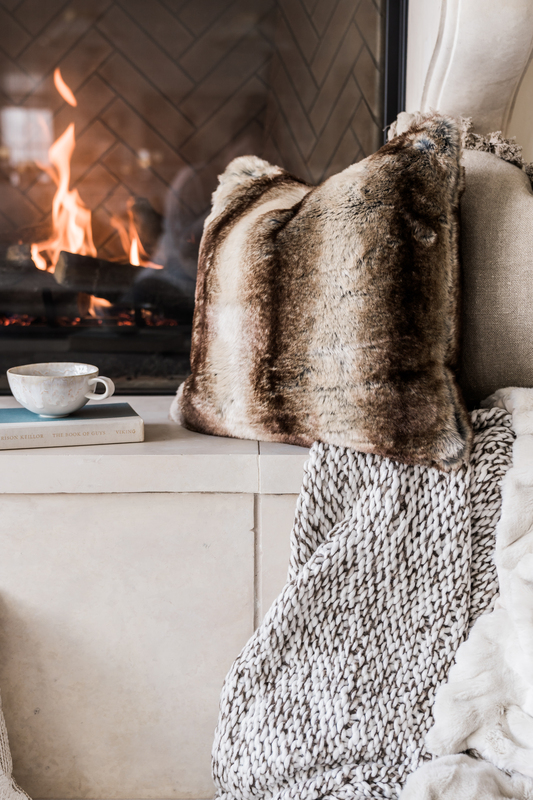 If i were to win i would purchase tHe luxe faux fur throw And the tassel pillow! I love love thEir stuff! Thank you for sharing this opportuNity! I would purchase the madaline daYbed…ive had my eye on it for quite some time:):) fingers croSsed! Oh my goodness this would be a dream giveaway to win! We are just starting to build our new house and theres so much that i need/want! I think i would buy everything at arhaus if i could. I Need lots of decor but would probably go foe one of their lighting pieces fiRst- im in love with the chandeliers!! ? Very awesome stuff! I love it all. The Francis Dining table would be a dream for our family of 7! Love Arhaus!! I would definitely Use The $200 gift card towards the amelie wooden arched floor mirror. Love your style and home decor! I waNt throw pillows and Blankets! Love! Looks beautiful. I am obsessed with the arhaus athens modular library bookcase with the adora ladder! I “visit” it often at my local arhaus. Omg def the soFa or mirror! The amelie mirror is to die for! Love arhAus! I would totakly get an accent chair or ottoman to match my sectional! I would de buy a coffee table to enjoy my coffee in the mornings. I would hands down 100% get that Mirror – it’s so gorgeous!! Oh i LOVE this store! That throw has me wanting a new one so thats what i would have to Pick if i won! Thanks for such a fun giveaway! tHat mirror is gorg! I would DEFINITELY have to get That piece. The perfect statement piece for Any room. So classy! That mirror is a must have! So classY and Timeless! I Would love to get the gift card anD put it towards the purchase of the Kensington Table. We just moved into a new home and i have on my wish list. love the new pieces you got Rach! I’Ll DEFINITELY get a tHrow bLanket from theM. I also need new dining chairs and bar stools! Love ArhAus! Would definitely use it to buy the matelasse linen coverlet for my bed! Love arhaus! Would defInitely use it towards the matelasse linen coverlet for my bed! Would be so amazing to win! You have Been a huge inspiration to me! Not only in fashion but interior design as well. I always tell everyone thaT i Would love To get a personal tour of Your home. ? wheneVer i feel i am lacking creativity. I turn to all things rachel parcell and i feel rejuvinated! Love you so much! I love Arhaus! They carry Such Classic and timeless pieces! The ardell windowpane mirror in antique black caught my eye but i also love thiEr bombay chest and im in the market for bookshelves and they had several beautiful Options!!! Crossing my fingers! Obsessed with all of their coffee tables!!! Would love to add a piece to my new home!! Ineed some new accessories to freshen up my space! I recently replaced my carpet after a huge flood in my house and I want to change everything up!! I love arhaus!! Congrats on your gorgeous new home. It’s beautiFully done. I would buy the amelie arch mirroR! My babys name is amelie (Not so common name) and the mirroR is just so elegant! I would dEfinitely purchase the laurel ceramic table lamp! My fiancé and i arE buildinG our first home and i love looking at your home and blog for inspirAtion! You truly are a dream! I WOULD DEFINITELY PURCHASE THE LAUREL CERAMIC TABLE LAMP! MY FIANCÉ AND I ARE BUILDING OUR FIRST HOME AND I LOVE LOOKING AT YOUR HOME AND BLOG FOR INSPIRATION! YOU TRULY ARE A DREAM!! Oh this would be so amazing to win! We haven’t had throw pillows since we have been married as my husband is in school And I haven’t been able to justify spending money on them. I would get some pretty pillows for my bed and probably a new quilt as well! Thank you for the chance ? The mirror or the chaise, or both! So hard to choose! love their pieces! I love arhaus! I discovered them a few years ago and love how timeLess their pieces are! Ive been wanTing one of those gorgeous full length mirroRs for so long!! Oh boy, choosing only a couple things is so hard. I would buy some throw pillows Because im obsessed. I just received a new mattress today and need new bedding.I would probably get the charcoal and ivory striped linen duvet coveR and matching accessories. THANK YOU FOR THE INTRODUCTION TO ARHAUS. I LOVE THEIR SIMPLE YET ELEGANT PIECES. PIECES ONCE PURCHASED WILL DEFINITELY STAY WITH A FAMILY. I’M LOVING THEIR BELA PLATES & MUGS AS IT REMINDS ME OF MY MOTHER’S COLLECTION. RACH, YOU HAVE GREAT TASTE FROM FASHION TO HOME. GOD BLESS. My roOmmate and i are Huge fans and love your interior desIgn, Fashion, dog, and life! We would love to usr the gift Card to accent our living room which has blush PinK/CreaM/Gold accents insoired by you! I would choose the gallery mirror and the Francesco mirror. I love this Giveaway! I have been eyeing the Arhaus kensingTon dining room Table for a while and i would definitely use the prize towards that! Thanks so much! I Have been looking for a mirror for my living room wall- would definiteLy get one of those! I have been dying for the amelie floor mirror in gold!!! ? Love arhaus! Planning to purchase some pieces there for my new home! Thank you, your home, family, style, everything is so beautiful! I love Your new peices!! We love ArhAus and have been searching For a new bed I Would Put the giftcard towards the barrister bed!! Thank you!! I would use it towards the petra dining table! I have been eyeing it for months foR our new home!! I love the thomas brass round mirror with hook! ? I lOve arhaus! I would buy those cozy pillows for my home.? I’d probably purchase that Mirror!!!!! ????? Obsessed with the chaise, i love that it can be both indoors and outdoors! I WOULD PURCHASE A COUPLE OF THE MAGLONIA WALL PLATES IN MATTE BLACK ALONG WITH A COUPLE OF PILLOWS FOR A COUCH IN THE FAMILY ROOM. I love the pieces you picked gor your home! Your home is so beautiful! 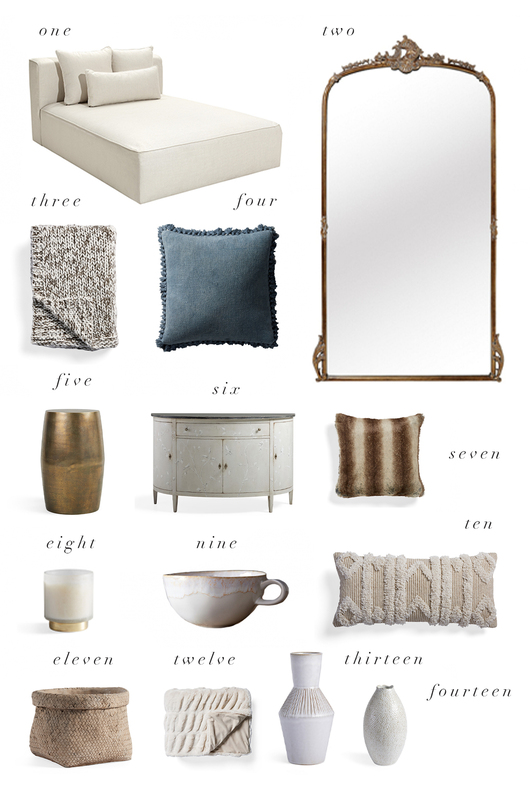 I had never heard of arhaus until now but after going on their website im obsessed! I love their style becayse its very Classic and neutRal! If i were to win the giveaway id purchase the matelssse comforter because i really could Use a new comforter and that one looks super soft, and The perfect shade of grey for our bedroom! I also could use just a new Bed set in general since ours is pretty outdated and id love to have a more updated room! I love the evelyn bed they have! I definitely love arhaus’s style! Thanks for sharing your exper with then and all the nice Things you have found from them! I am loving all of these pieces! I’ve been looking for A chaise for our master bedroom and i love the kipton chaise!! Would love a farmhouse table from arhAus! I would buy two new faux fur blankets for our new hoMe’s guest Rooms! Loooove arhaus! Im in love with the Audrey chaise! It would go PERFECTLY in my chicago apartment. Im trying balance femine touChes with cozy pieces. Thanks for the suggestion, rach! I love your style!!! I’ve been eyeing the faux throw for months! ???? I’m in the Market for a new Bedroom set, so I would use the $200 toward something beautiful from Arhaus! The van gogh tufted chair is a dream!! The color plus velvet – swoon! I could use a new sofa! I would by the Eaton non tuFted bench. It would be perfect in my dining area! What an amazing gIveaway!! Love arHaus and would LOVE to win!!! We’re moving into a new house in a couple of weeks so there are so many beautiful pieces i would choose! But i’ve definitely been eyeing an ottoman and sOme Fun Accent pieces! love everything but I’ve been searching for new bedroom dresser!!! Definitely could use it for a beautiful new sofa! I Love the gorgeous pillow! I Would buy a variety of those pillows to accent my bedroom decor. i would definitely buy the chaise! Such a great piece! Especially having multiple kids, its large enough for everyone to fit! Id love to get a new mirror to hang in our guest room! I would purchase either the beaut mirror you linked or One of the gorgeous chandeliers! Ive been On the prowl for a faux fur blanket, so thaT would top my list. Also, in love with that mirror! I may splurge on that! i would put the money toward the kenley slipcovered chair! Nice giveaway! I would probably get a faux fur throw and some candles if I won! I aLso have a passion for hoMe decor! I just purchased the brown and cream thrOw blanket for my couch. IF I won i’d buy that stunning gold mirror! Oh my gosh its Perfect! i’M DYING FOR THE amelie wooden arched floor mirror in gold hue!!!!!!!! This year my family is moving cross country, and from a townhouse into our first single family home! We will be completely redecorating and investing in lots of larger furniture, so I would put the GIFt card towards the cironi BELL’arte dining room table, the DEvereaux Tufted bed, and the bodhi nightstands. I would DEFINITELY purchase the amelie wooden arched Floor mirror. We just Decorated our formal living space in a complimentary style and that mirror would complete it! ? I love the Pratt chair! We are in the process Of redecorating our liviNg room and it would be perfect. I would love that mirror! I have been searching for one to go above the mant!? I would love to redo our bedroom and would start by picking one of their duvet covers. I love all of them! Oh I’ve been coveting the frosted birch trees artwork for our newly renovated guest bath! I love Arhaus and I have been looking for new lighting for a while so I would put the $200 toward the Bonita Chandelier in Ivory Silver! I would love some furniture since I’m getting married in march And moving INto our first apartment! I think a new desk Would be amazing! I love arhaus and save every catalog that comes so i can see their beautiful vignettes again and again. the sofia demilune is a favorite of mine. Normally i do not enter these giveaways but i absoLutely loooove arHaus. Discovered this store two years ago when we Bought our dining room table. We have been eyeing a new couch or kitchen table But i would buy the whole store if i could ? I love arhaus and their classic style. I’ve long had my eye on the Dante leather sofa in leisure gray — absolutely stunning! i love arhaus! i discovered them a few years ago, and would love to add the bertogne round coffee table to our living room! I have had my eye on that mirror. but that double chaise ? Wow! Wow! Wow! I love everything Arhaus! I have been having my eye on the Santino collection for a while! The Roxy Chair looks gorgeous and so comfortable too! We just purchased our first item from arhaus this winter (dining table) and love it! we need new side tables in our living room so i would purchase one of their martini tables! I would get the seaside boho pouf. So cute! such beautiful picks! our house had a sewage flood a few months ago (thank you, historic dc row home) and we had to throw away all of our furniture, which was heartbreaking! we’re slated to move back in mid-february, after all of the reconstruction – would LOVE to add an arhaus piece to our living room, like the pierce couch. they make such beautiful furniture! Thw Bodan chair is to die for!!! I love the outdoor chaise! I would choose one of their fuax fur pieces, so pretty! I love the white double chaise, so comfortable and cozy!! I love everything about this post!!! thanks for sharing this awesome company. DEFINITELY would love to have the amelie wooden arched floor mirror in gold hue. dyyyyying to spruce up my outdoor space…totally checking out their chaise lounges for outdoors! I would put that gift card towards a round mirror! Ive been needing one to put above my barcart and i love everything ar arhaus! Hi, do you ever plan to add travel to your blog? you go to such beautiful places it would be nice to refer back to places you have visited, hotels, & RESTAURANTS. I am going to dallas valentines weekend and i remember you went to dallas once and you showed the beautiful restaurant you had dinner at. do you remember the name of the restaurant? i am trying to find a nice place to make reservations for my husband and i while we are there. I would treat myself to a set of linen sheets in chambray dove – what a gorgeous gray! The Andes BED ON THEIR WEBSITE IS SO BEAUTIFUL! wE MOVED INTO OUR HOUSE 3 YEARS AGO AND THE MASTER BEDROOM IS SOMETHING THAT HAS BEEN IGNORED FOR FAR TOO LONG. I would love to Have a fAuX fur throw!!? A new light fixture! ? I actually really want that double chaise! We Are redoing our outdoor terrace and this would be PERFECT Looks so comfy but still super tailored. I want it in Gray! I love these feminine, classy pieces! If i won the gift card (fingers crossed) i would use it for the beautiful floor mirror you linked! I’ve been looking at mirrors for my bedroom and this one is perfect! Your home is beautiful and decorated so lovely! I love the vintage pieces and would love to have some of those in my home and the faux fur throws looks so comfy! Thanks for the chance at the giveaway. Love this website and all your pics. if i were to win, i’d put the gift card toward outdoor furniture for the outdoor space we are building right now. much love from mississippi! I love your style!! I am on the hunt fir a coffee table and love the antoniA bell’arte from Arhaus!! I also love the faux fur pillow!! I would LOVE LOVE love their countess table lamp in blue (so dreamy) or their ivory tibetan wool throw. I am purchasing the faux fur luxe pleated throw for my mom’s birthday! i would buy a new table lamp, i have been on the hunt for the perfect lamp to add in our living room. LOVE the Amelie Wooden mirror! I will say thougH, if I had to pick absolutely anything from the arhaus it would be the marble flow framed print. I love abstract art (especially when it has gold foil!). There are so many different ways someone can interpret it, and that’s why I love having artwork all over my house! Just gives a unique feelinG. I love your dtule and your blog! Im in the market for a coff tab and theres the perfect one at arhaus! I love the chaise and pillows!! I recently just discovered and love Arhaus, too! I’ve had my eye on the amelie mirror in gold. It would be the first thing i’d Add to my cart. If i won the gift card i would totally put it towards thAt Amelie mirror its everything ? I love learning about new sources! Thanks for this opportunity, the maya bed is dreamy as are all of their collected pieces. I think i’d have to select the Channel-stitch hide pillow-I love the texture and the cleanness the lines create. Best of luck to all! Your selections are wonderful! I am absolutely in love with the woven planter and the long handle woven planter. in addition the Soraya Pouf and the callie runner in sky are now on my list! =] Thank you for the introduction! I would purchase a dreamY, cozy blanket and those amazing Pillows!! I would LOVE one of the gorgeous faux fur throws! these pictures are BEAUTIFUL rach, i love seeing what you do in every single space! I would get the nikka tall dresser! its so cute, I love the wood! We just purchased a home and i hate the large light in our foyer- i would Buy a new light for sure! The Kensington gateleg table…so hard to find one. Love your style , would love to buy that mIrror, but doing lights in my house right now so will focus on that first. Visited arhous site and omg i could buy it all but Mostly desp need a rug! So many pretty ones! 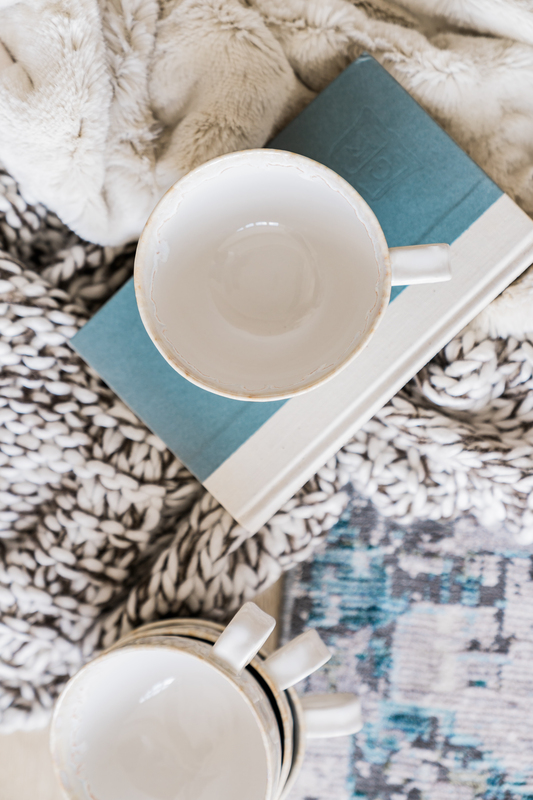 LOVE THE FAUX THROW AND THE BELA MUG SET! We just bought the kipton sectional from arhaus recently. it is the comfiest sofa ever! i would use the gift card to buy accent pillows for it! I would buy ava hem-stitch duvet cover in white colOr. And some sheets to refresh my bedroom for spring. so many great options on their website! If i won I would love to get something for our front porch or a luxurious throw! Love your Style and love ArHaus ?Id definItely get one of their mandara pieces. ive had my eye on those pieces for ages! I would put it toward the Laila chandelier! I love these pieces. I would get the Clancy chair to go beside my fireplace for a perfect reading chair. Hello and happy Friday! Thank you for opening your heart to your readers and sharing details of your life. I admire your work Ethic so much! If our family were lucky enough to win your arhauS giveaway, I would purchase the Stunning ameile floor mirror for my daughter, Adeline Eliza’s, bedroom. We look at the bathroom mirror each morning & repeat “Im strong and have a beautiful heart,” it would be a fairytale to repeat that mantra in front of that beautiful mirror. Lovely pieces! Especially the chaise lounge… I LOVE the Tao Curved Bench in Trinidad Granite. Just moved into a new place and I am looking for a dining bench… that would be so perfect! I would get a beautiful coffee table!!! I would purchase the Mandara bed! I’ve been such a huge fan of arhaus for years so that’s exciting you recently discovered it! I recently moved to a big city and my guest bedroom is literally empty..this would be the perfect addition! I would loooove, to Buy a dUvet cover set! Eyeing a few specific ones! I’d love the Amelie wooden arched floor mirror in gold hue for my bedroom! Id pick thAt mirror in your post or a bookshelf! I would love the pillow with fringe. I just hung My kitchen light fixtures from Arhaus. I Would love a chAnce to win $200 and put that towards the Arc floor lamP for my Great room. We have gone through a whole house remodel and the entry way is still bare… I would buy the Edie Bench in blush to put in there so people can sit to take their shoes off! Sooo many choices!! I have quite a few love pieces already but would prob add yo our collect with new lamps! Ohhh ….. maybe a chandeliEr!! The pieces you have picked for your home are so beautiful! I would choose one of their gorgeous console tables or new a new dining table for my home. Thanks for this OPPORTUNITY! Amelie floor mirror– Thanks for the giveaway! Love the sectional lounge from arhaus. I would never leave home! I need a table lamp, so that’s what i would get. I could get distracted by something else, though! I Would purchase the pearson six dresser! I love their chanDelier options! Our dining room is in need of an update! I love their chandelier options! Our dining room is in need of an Upgrade! I would probably pick the Arnhem nesting coffee table but one of those cool sectionals is calling my name as well! Thanks for opportunity to make my home my beautiful too. i love Arhaus! I found them a few years ago when i was moving. They have SuCh gorgeous, unique pieces. I would definetly tReat mYsElf to a new bed blanket. All the pieces are beautifull and warm. I like the mirror and the pillows the best. Also the set if tea cups are so adorable. I would love to win the Amelie wooden floor mirror in gold! Such a good statement piece ti have in Your hoMe! Hello! I love the pieces at arHaus! In 2019, we are hoping to reFresh our bedroom! Id choose the PoRtier 6 drawer dResser-i love the detail along the bottom! Hello! I’m in the process of redecorating my living room right now, so i think i would pick the floral knot pillow & the velvet print tassel pIllow for a few pops of color! Thank you for the opportunity! After buying our first house i started looking into arhaus. Their furniture and decor is gorgeous, as is your new home! I am currently trying to desigN plans for our new home and love your painted brick ecterior. What color did you go with? I’m oBsessed With that double chaise! I would buy the amelie Floor Mirror. I am obssed with it!!! I love the natural colors, very soothing. I would put the gift card towards a beautiful console table. Love the textures of those blankets! LOVE, LOVE, LOVE YOUR STYLE RACHEL! BEAUTIFUL AND CLASSIC. I’D CHOOSE THE BEAU FAUX FUR FEATHER THROW. We love arHaus! There’s one not too far frOm us! Ive been eyeing the tahoe sectional and if i won i would use the money toWards that! ?? I would buy new glassware and barware. I love Arhuas soooo much. We just recently furnished our entire home and patio with Arhaus pieces. I would purchase one of their tibeton fur throws with the gift card! Love them! Your home is so beautiful. I would love a new coff table if i won the gift card. I am in love with the fallyn dining side chair in velvet green and they are such a good price right now. Very high end looking!! Love the throw pillows! If i win i will defiNitely be reFreshing mine with new ones from arhaus. A faix fur throw! They look so soft! loving the amelie wooden arched floor mirror in gold hu! I have had my eye on the mandara cabinet for our new home. Love arhaus!! I love Arhaus! I Love the fiona sofa and would put the gift card towards it! Love me some ArhAus! We’re moving in the spring and i’ve been searching for the perfect sofa. I really love the Roxy sofa and Am searching for a great dining table! I would put it towards new bedding! ? My husband has wanted an alex Chair for Ages! Ahh i absolutely love everything from this site! I would get a side table for my living room! Def a standing mirror – stunning! The Gift card would definitely go toward The brass end table. Love the accent! I would go for a couple of the Tremont library sconces for our bookshelves. They would be the perfect finishing touch! They got some unique pieces, got my eye on one of the buffet and hutches. Looks like Good quality products. I would choose the Eliana Lantern PENDENT! Love the faux fur luxe pleated throw…so beautiful! I would pick up a piece of framed wall art or a framed object! I *love* several of the framed velvet pieces. Searching high and low for counter stools, love the Lunden option from Arhaus! I found some very comfy looking throw blankets! I also found a few Vases and chandelierS that i loved! What a fun store! I would DEFINITELY put the $200 towards accessories. Loving the two vases you picked out. Thanks for the intro to Arhaus! There are so many things I need to buy. In the process of buying my very first home, and need everything!!! Much love from Texas. I love your home decor rach! I would get a new throw blanket. Can never have too mUch of them right? Thank you for The opportunity to win! The stone washed velvet pillows in blush are the perfect pink color and would look great in my bedroom or the living room!! They have beautiful pieces! The remington chair is goregous and looks so comfy! Arhaus is such a timeless brand! Each collection is Breathtaking and wiLl be a perfect edition for any home. I Would To Use the gift card towards a nee bed! I would definitely Choose pillows. I honestly couldnt twll you which one at this exact moment though because ive gone thRough them a couple of times now and i love almost all of them! I would lovE to win this, and get my dream mirror that iM in love with ? Im loving the faux chinchilla bed throw!! So cozy and a perfect accent in my Room! I absolutely love the terra coffee table! It would eork perfect in Our living ro! Love arhaus! So many gorgeous pieCes. I am in need of Some new decor like pillows, vases, planters and accents to add to my tables aNd bookshelves. We have a gorgeous store in kansas city tO Find all these lovelies and excited to go visit them! I would love the faux fur chevron thRow! Thanks for the oppourtunity! ? Beautiful furniture! some of these couches would look great in my living room. Would love any of those gorgeous thRow pillows to help decorate our couches! I have been enjoying seeing photos and videos of your new home so much in the last few months, everything turned out beAutiful!! I started following you before you even announced you were pregnant with Isla Rose so its amazing to see how far youve Come! Love THe accent chairs and classy end tables! I would use the gift card towards the purchase of 2 accent chairs For my Family room!? This store looks amazing. I would live to buy the clayhill coffee table. Talk about a statement piece. Thanks for this oPportunity Rachel! I would want to get all the throws, they looks so cozy! New throw pillows for my couch! Love Arhaus! I’ve had my eye on a couple of furniture pieces: dining room table and dresser–I also saw this big comfy loveseat that i wouldn’t mind having! Also our bedroom could use some finishing touches. just moved into a new place so I’m ready to fill it up and make it a home! I love ArhAus! We bought our bed there so i would Use the gift card to help complete our bedroom with a new dresser or bed side tables! Obsessed with them and with the pieces you chose for your home! I would get the eliana lantern pendant for my daughters big girl room we are sEtting up! We really need Updated lighting! This would be so amazing for our first home!! I just moved and am in desperate need of everything to decorate the house! I’d probably start with the throw pillows and vases to complete the look in my living room ? I would purchase a coffee table! I would love to win BECAUSE i want to buY A new Trow blanket just like Rachaels! Love Arhouse! Would put it towArds the Taylor sofa. Love all their proDucts! I am obsessed with everything! I would totally purchase the terra coffee table for my new house! Id purChase a mirror for our bathroom reModel! Or some acceNt pieces for my fireplace manTAl! GOrgeous pieCes with amazing textures! The reverisble pom throw aNd the velvet throw PILLOWS are my favorite! Hi! So excited about this giveaway!! I just moved in to a new Apartment and are pretty much starting from zero. I have been here two months aNd i still dont have lighting in my bedroom ?. Im trying to be thougHtful about evErything i buy since this apt feels like it’ll be home for a whilE. ArHaus has so many beautiful pieces i don’t even know where i’d start! What an awesome giveaway! i’ve been dying for a faux fur throw blanket! That Would be my purchase if i won. Love this site!! We just purchased a new home so i am eyeing up so many pieces there! I cant just pick one! ? I would love to get the Arne Cheese Board and Faux Fur Throw in Taupe!! Love finding new home decor and furniture pLaces to shop! your picks are so pretty! That mirror is stunning & love thos belo mugs & faux fur luxe oversized ThRoW!! i win id put thr gift card towArds New bedding for sure! we really need to fix our living room, and we would love to buy a new sofa, tv stand or book case for our small space. I would buy the faux fur luxe pleated throw! It’s beautiful! I love arhaus so much! I would Purchase that boho pillow and the Amelie mirror! I love tHIer pAlmer colletion too. I’ve been Eyeing Up the dresser for awhile now! Gosh, I love everything they have and am slowly adding Arhaus pieces to my Home! I have my eye on the boho fringe pillow! I want a rug like that sooooooooooooooooo bad but don’t have the funds currently. SOME GORGEOUS OPTIONS – love the MOROCCAN LEATHER POUF! I’m getting ready to get my own place so there is so much I’d get!